High pressure hot water washers, ideal for medium duty industrial users. Compact design and easy to use controls, self priming pumps, various options of pressure, flow and performance. 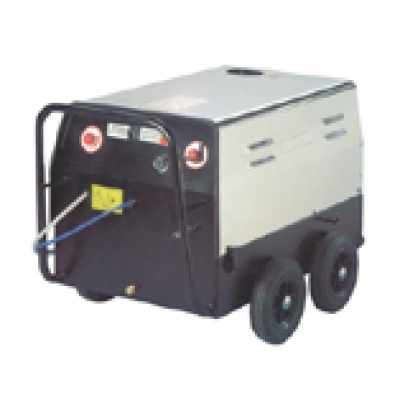 Hot water pressure washers available in 110 volts, 240 volts and 415 volts supply and various options of power and performance, water flow and pressure. Auto-stop facility is a favoured option for most applications thus preventing wear and tear to the pump and seals. Mobile high pressure hot water cleaners for the light to medium industrial user, auto stop as standard. Maximum temperature of inlet water is 60°C.